Thin section of NWA 2364. The matrix is very dark, an attribute of its carbonaceous composition. It contains some nice CAIs and chondrules. Readers should recall that some of this meteorite’s CAIs are the oldest dated matter in the solar system. 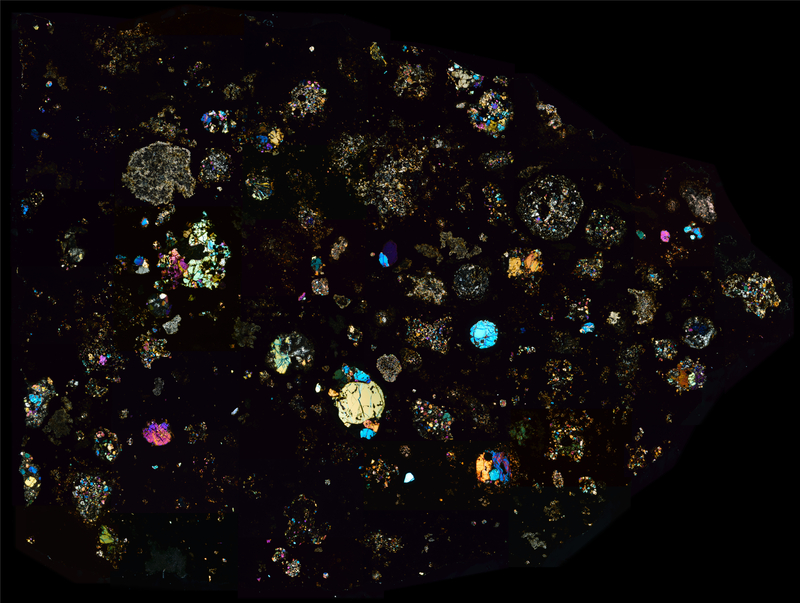 Check out the links below to see the overlay of this thin section with the surface photos of the same fragment for awesome before and after comparisons.